This month we head to the ‘island of spice’, Grenada. A beautiful, tropical idyll I am proud to claim as my maternal ancestral home. I visited Grenada three times during my childhood; the last time being in 1983, when I was 16, just after the US and allied Forces invasion (or intervention depending on your political point of view). Having weathered years of upheaval, either due to the internal forces of politics or the devastating external forces of Hurricane Ivan, I am genuinely excited at seeing this small and lush realm of the Commonwealth starting to blossom in many areas. From the heroic Victoria Cross-winning exploits of Sergeant Johnson Beharry on the battlefield, to the world-class performances of Kirani James on the sports field. 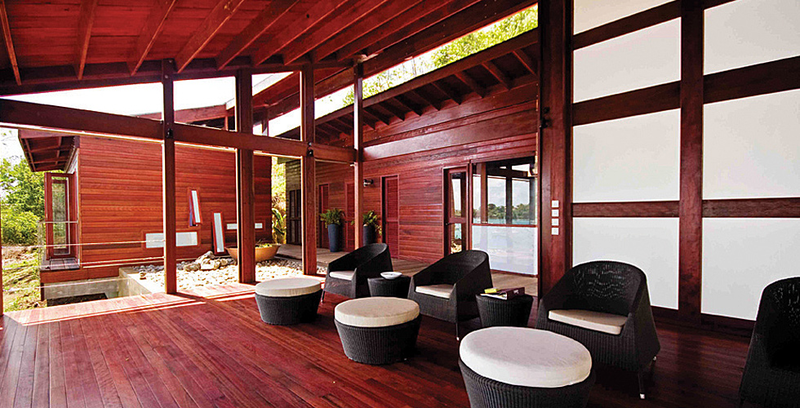 Another field of expertise that may not be so readily associated with Grenada is architecture. 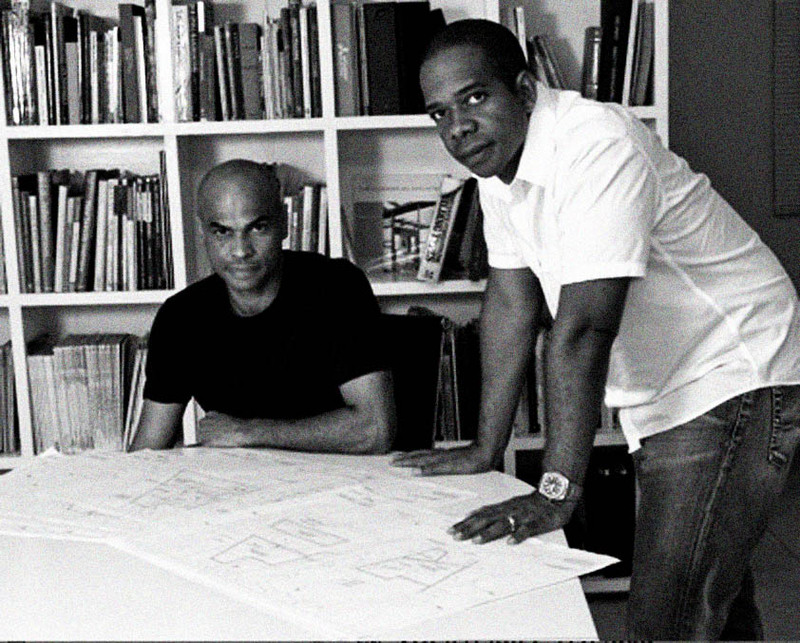 And it is this discipline to which we turn our attention to now, and in particular a partnership that is at the forefront of Caribbean architecture and garnering a reputation for progressive work and design excellence. Introducing the award-winning talents of Bryan Bullen and his business partner and cousin, Trevor Bullen. We are Grenadian, first cousins and have spent part of our formative years in the Caribbean, choosing to repatriate after a number of years living outside of the region. We were fortunate enough to have had the opportunity to train at renowned architectural schools in the United States (Bryan studied architecture at The Southern California Institute of Architecture and Trevor at Harvard). 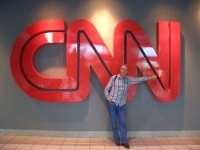 Additionally, we honed our skills through work experience in North America and Europe. Our decision to return to the Caribbean to practice has been shaped by our love for the islands, Caribbean people, and the quality of life which it offers. Our practice, which spans over a decade, has been an enjoyable but challenging journey. With our work, we are constantly testing, probing and exploring the many simple and complex issues involved in the making of architecture for the specific context where we live. In the early years of our practice we completed many residential, and commercial projects, however, our practice has grown to include the design of institutional and civic buildings, in addition to masterplans for larger projects. 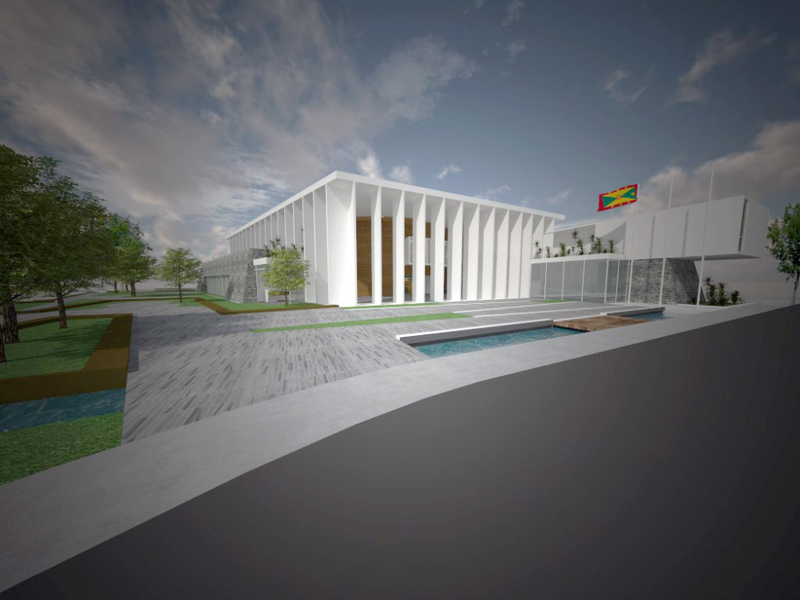 Our office has been fortunate enough to win architectural competitions over the last few years of which we are currently designing the new Grenada House of Parliament. If we are to dig deep into our backgrounds perhaps having both grown up in households with creative influences has been of primary importance. This has provided a very good platform for our development. Before studying architecture we have had prior experiences in the making of furniture, sculpture and objects which have taught us a lot about materials, building processes, and general methods of construction. Our love for design and passion for creative work has fuelled our desire to engage in the practice of architecture where our creations can positively influence the lives of others, both at the micro scale of the individual and the macro scale of popular culture. We see this as both a privilege and a responsibility. This is a complex question as there are many challenges which we have encountered in our practice. On the one hand, there are the technical and construction challenges of living in a small place where we must contend with low-technology and the additional effort required for quality control during the building process. We are challenged to design our buildings to be efficient in terms of cooling and energy consumption due to the high cost of electricity. Quite often materials are not readily available, so a greater degree of planning is required in the execution of projects. Additionally, as most building materials are imported they are generally costly, requiring us to use local materials to cut down on costs. We have embraced this in our work, and where possible integrate local materials such as timber and stone in the design of our buildings. With the great push today towards creating green buildings with a low carbon footprint, although we promote such principles, our decisions are made for practical reasons and our desire to make sensible choices. Also on the technical side, the harsh tropical marine environment presents a challenge where on top of designing to suit the requirements of hurricanes, and seismic activity, the sun, sea and salt air are primary factors to overcome. With the practice of architecture in the Caribbean today much of the discourse is centered on identity and what is deemed an ‘appropriate’ language for regional architecture. Many regional architects have chosen to adopt a post-colonial language, which we do not necessarily subscribe to. Our pursuit has more to do with engaging the tropical environment, solving issues of the site and programme, whereby, the outcome and issues of tectonics and overall language is developed out of research, and experimentation which allows our buildings to be naturally shaped through this process. Much of the historical references in our work would be spatial referencing, for example, the idea of open-plan living and outdoor spaces such as verandas, or the allowance of air flow through our buildings facilitated by louvers, and the placement of the spaces which permits our buildings to stay cool, or be protected from the driving rains. In this case, the initial challenge for us was acceptance of our contemporary sensibilities, which as I said previously is generally outside of the typical post-colonial agenda. We are Modernist at heart and have certainly been schooled in this vein. That said, we do believe that our work should be grounded in its specific context. What interest us most are individuals whose work can provide solutions which express a pure thought and executed as such. Artist such as Robert Smithson, Richard Serra and James Turrel are inspirational. Many of the quintessential Modernist architects such as Le Corbusier, Mies van der Rohe, Oscar Niemeyer, Richard Neutra, Louis Barragan have all provided positive directions in the development of contemporary architecture that we have a great appreciation for. Some of the recent practitioners such as Glen Murcutt, Peter Zumthor, Aires Matheus also offer a lot in their practices. These architects are creating work which is deeply rooted their place, with a clear expression that transcends their localised conditions and speak to a wider global audience. To pin-point one specific project is difficult as there are always decisions made over the course of designing a building, which we think – what if we had chosen to execute in a different way. We frequently discuss the evolution of our buildings from the time of construction to when they are occupied over years, and the changes they undergo. They can take on a life of their own, sometimes in ways, which we may not have expected. For example, when we visit some of our previous projects and see how the landscaping and gardens can allow our buildings to sit comfortably in the landscape, they can have a very different presence than when construction has just completed. Perhaps it is more important to focus on are the specific ideas and the solutions to problems. What gives us the most pleasure is to know that we have made the right decisions given the specific programs. The Munding residence is a case in point. Our first design for the project appeared a good solution and the client was very happy with it. After visiting the site on numerous occasions and experiencing the force of the wind we revised the design by changing the exposed veranda space and swapping it for a protected courtyard. Additionally, we devised a double skin of sliding glass doors and operable vertical timber louvers, which allowed us to control the wind without compromising the view of the site. At first our client did not understand this decision, but thankfully he went along with it, and we know today that he appreciates that this decision was made as it has facilitated a usable outdoor space that the original design did not. 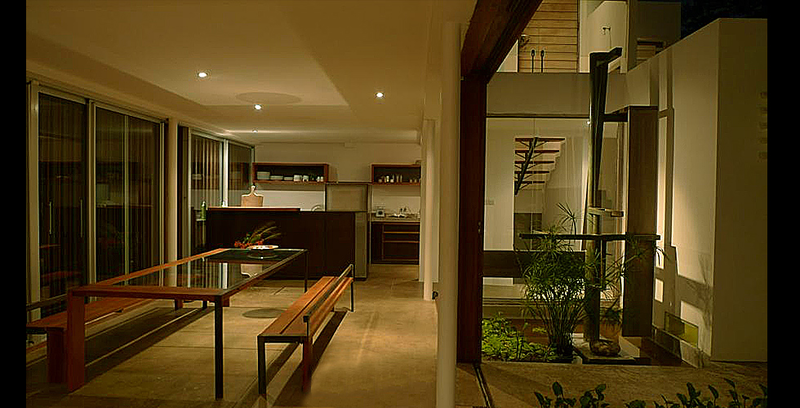 What is most interesting for us was our decision to provide that the doors of the courtyard were designed to slide completely open creating a fluid space with the main living area. 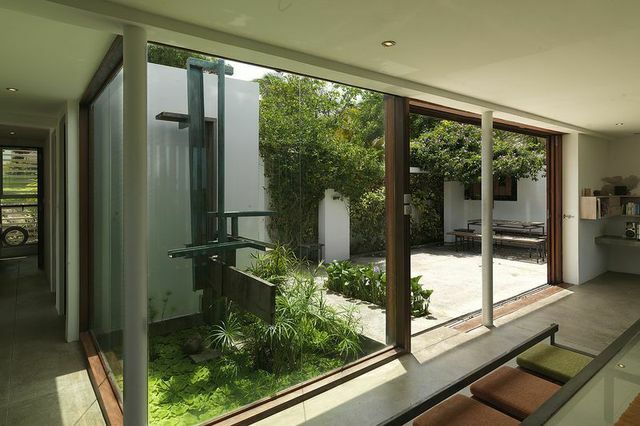 This expresses a great deal about our spatial sensibilities and our pursuit of buildings with open-plan living that we hope can be one with the tropical environment. A dream job would be one which our work can have a significant and positive effect on the lives of people. The project does not necessarily have to be a large facility as our current Parliament project, but, could be a small building, which can resonate and speak volumes in terms of its social impact. 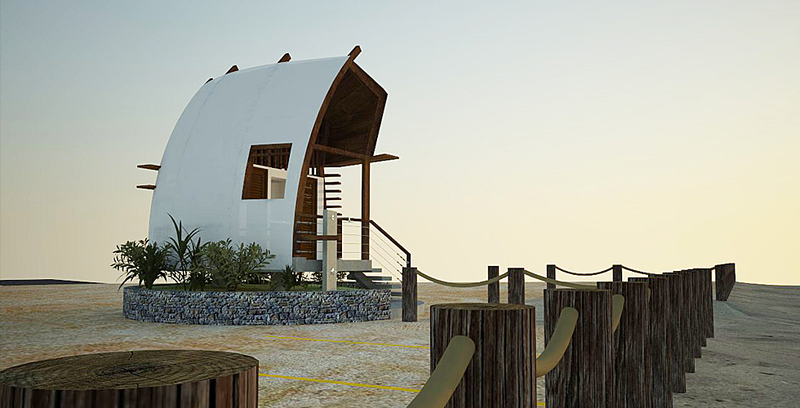 Our design for a beach changing facility is one such project – tiny in scale, but, with a strong iconic stature that is imbrued with deep cultural references. What is also enjoyable is the process of collaborating with other architects and creative people. We believe that the production of good architecture requires a team and understanding between the architect, owner and those who are involved in the building process. We have in the past collaborated with other architects, designers and artists, whom we feel have brought further richness and freshness of ideas to our projects which we appreciate very much as it adds greater strength and credence to our work. The late regional architects, Roger Turton of Trinidad and Tobago, and Barrisford Wilcox who practiced in Grenada in the 1970s and ’80s. Both were extremely talented individuals with highly personalized styles. Their work exemplifies many aspects of open-plan living, good quality of indoor and outdoor spaces, and general compatibility of building with the natural environment. We very much appreciate their endeavor to create architecture that is suitable for its place, yet, not bounded by the restrictions of post-colonial rhetoric. Practising architecture requires 100 per cent commitment and consistency of work on a daily basis. It is the everyday work, a step-by-step process that will be the most important over the long term of architectural practice. It requires patience, determination and self-belief. As difficult as this can be at times, it can also be rewarding to see your work come to fruition and have positive effects on the lives of people. As with all practitioners at this time, we are seeking out the many possibilities for work, and are constantly looking at our business model to ensure that we stay busy. 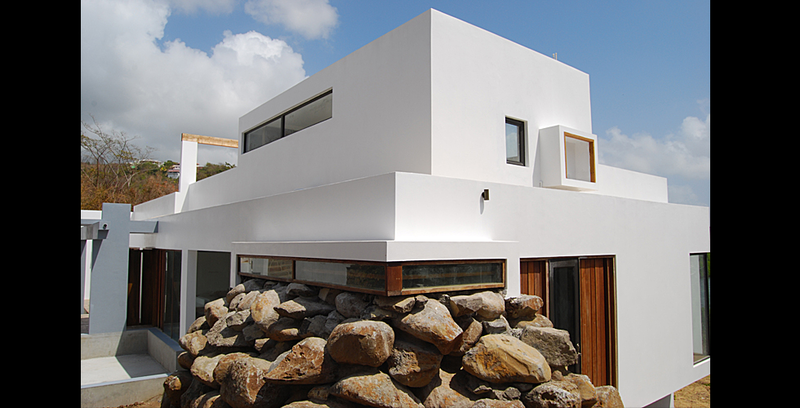 We are currently engaged in the design of a series of case study houses. Our intention is to partner with others within the building industry, including land owners and financial institutions, in an effort to get projects built. We are inquiring regionally and beyond for perspective jobs, which we can tender on. 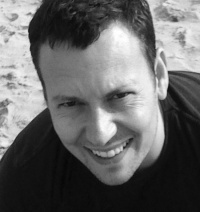 What do you think a designer can bring to a company at board level? Apart from improved financial performance – what can design can bring to an organisation? What areas do you think smart fabrics could be used in? Do we need a Design Minister?